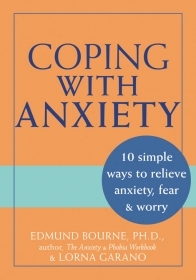 Edmund J. Bourne, PhD, is a psychologist in northern California specializing in the treatment of anxiety disorders and related problems. He is author of several books, including the bestselling Anxiety & Phobia Workbook, that have reached hundreds of thousands of people throughout the world. Lorna Garano is a freelance writer and editor living in Oakland, CA. This is an book-based course. Purchase the book from a retailer and when you've finished reading, return to this page to complete the post-test and course evaluation. After completing the course evaluation, you'll be prompted to pay the exam fee.